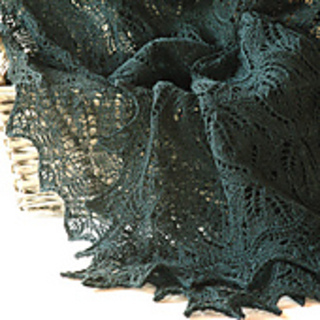 The shawl consists of a rectangular main section and the lace edging is knitted onto the centre part using circular needles. 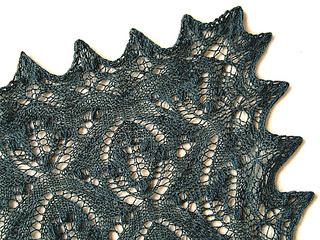 The pattern has both lace charts and written instructions. 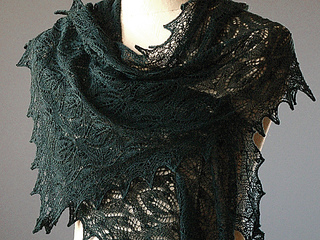 The shawl can be knitted with other yarn weights besides lace and I have also included information for customising the size. Some techniques and stitches are explained only in my blog and not included in the pdf file. Feedback is always welcome. Enjoy! 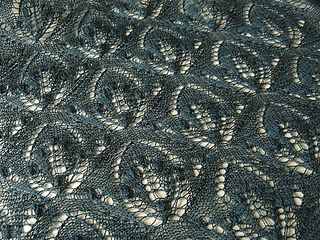 Not a tremendous issue, but one good tip slipped away from the pattern: for casting on the centre section, use needles one size larger than those for knitting, this will ensure the edge to stretch enough during blocking.